I have a confession to make and am embarrassed to share this nugget. I didn’t eat my first fresh fig until my mid-twenties. Shocking, I know. The deprivation was retro-actively painful. All I had as a child were dried gummy Mission figs. Oh, and Fig Newtons. As if those even count. And then the heavens opened up. 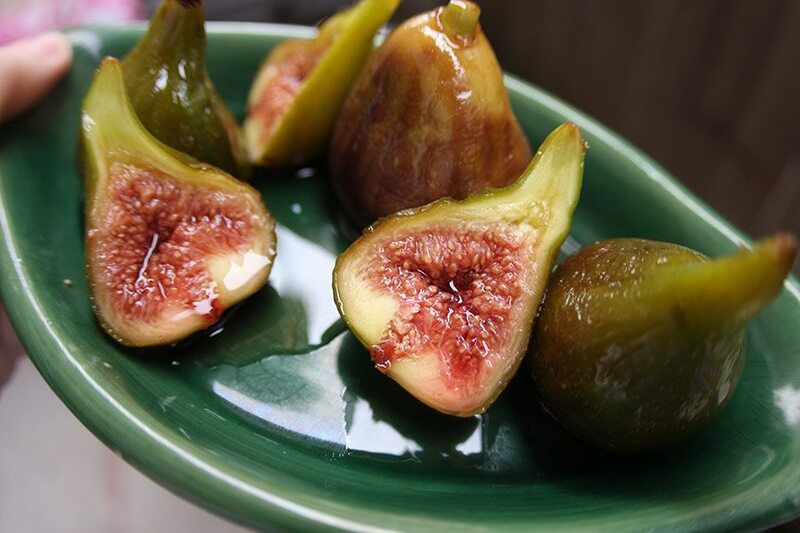 The sweet, juicy and decadent flavor of fresh figs trumps a dried leathery one any day. Find a fig. Pick it up. And enjoy them all summer long. Wrap in prosciutto. Stuff with goat cheese. Top a tart. Roast in Amaretto and vanilla. Preheat oven to 350F (180C). Mix Amaretto, water, sugar and vanilla together in a bowl. Combine mixture and figs in a 9×13 casserole pan. Cover pan with foil, and bake for 10m. Remove pan and give it a shake to coat the figs in the syrup. Bake for an additional 5m. Serve warm or at room temperature drizzled with the syrup from the pan. 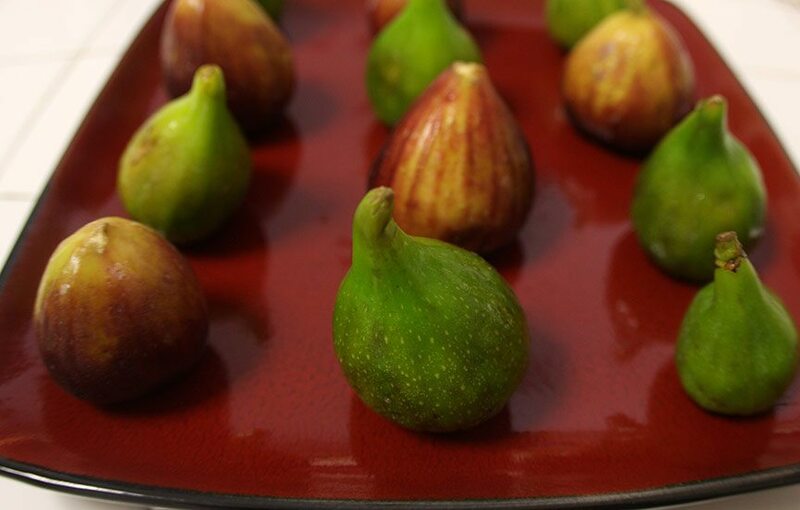 You can also use these figs as a filling for a tart, as an ice cream topping, on a cheese plate or with a sabayon (zabaglione).